this post will never give justice to the aspiring (or pretty much ‘feeling’) travel blogger in me. if such basic, fundamental thing as booking a round trip ticket is something i tend to forget, then screw the rest of my travel plans for good (asuuuuus lolz)!! last year, my best friends (yes, both the bride and the groom) got engaged finally after 10 years of being sweethearts. right after the engagement, they already told me the date of the wedding, Sept 10, 2011 : 9-10-11…and a day before the big 9-11 anniversary. my parents were supposed to be ninongs and ninangs to them but i politely declined (ako ang humindi kasi malas daw un pag ang mag ninong or ninang ang humindi) for some personal reasons i cant divulge here (lmao, ayko lang makita ako ng parents ko na wasted…). to cut the story short, i knew every single detail of the whole thing and PLANNING for the whole event was a must for me even months before the big day. it took me months to book this special trip because i had to wait for seat sale announcements – the stingy in all of us (admit it guys). 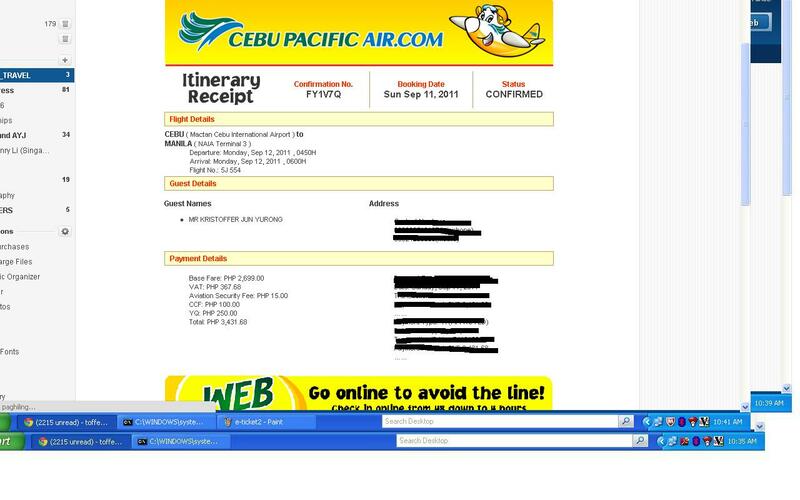 by May i was able to finally purchase my airline tickets, it was booked and yes, i am attending my best friend’s wedding…yahooo!!! everything was all set…. i arrived in Cebu, spent time (busy time) with family while also being busy preparing for the wedding. traveled to Hilongos, Leyte where the wedding took place, spent 2 nights there for probably the most emotional wedding i have attended, got drunk on those 2 nights etc etc etc. everything went smoothly. i got back to Cebu and spent a day again with family. so its confirmed, i dont have a return trip. i am not going back to Manila at all. reality sank in immediately. 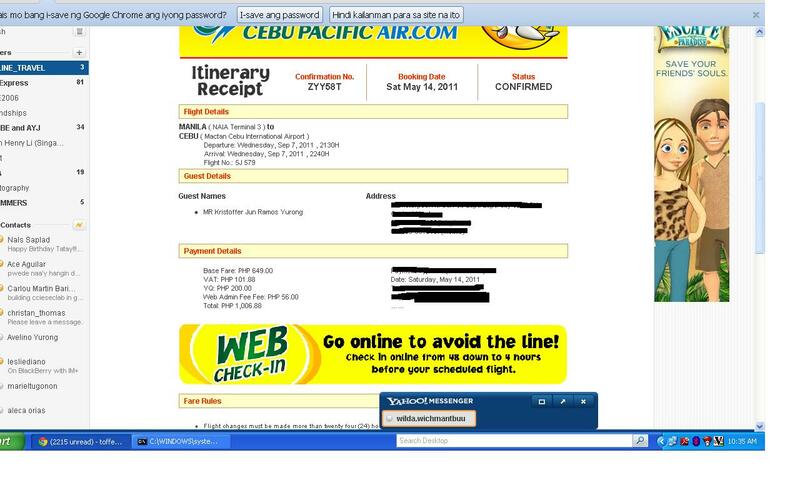 i didnt have a choice but to book right at that moment my return trip or else i’ll be doomed. the effort in waiting for seat sale announcements and checking the website from time to time was wasted because i had to pay a hefty amount for a 1 way trip. crap. the whole dilemma just swallowed me that i forgot to think and strategize. i forgot to check PAL since they are now cheaper compared to CEB if non-promo fares, the also have a much later flight at 6am compared to CEB’s 450am. i also forgot to check on Airphil Express because i have this really strong gut feeling that i might have booked a return trip but not on CEB but on Airphil Express. 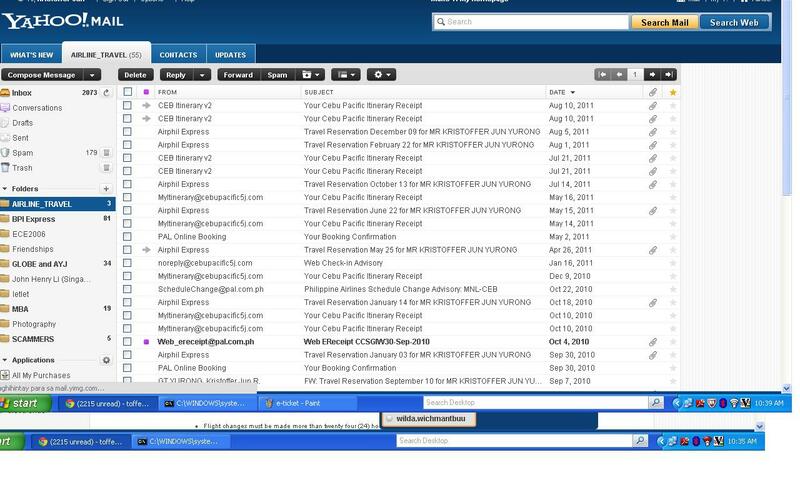 up to now, i didnt bother to call Airphil or even try to search more on my email, there’s no use anyway. hays….buntong hininga. if may seat sale and its a MUST trip, never book one way. its only applicable if your not 100% sure of pursuing the trip. already checked if i have tickets for my October and November trips. so far so good. meron naman lolz. are you ready for Sinulog 2012? Dec 01, 2011 – Jan 31, 2012 Sinulog Street Fair, Osmeña Blvd.